By default, WordPress is presented in English, but you can make a WordPress site in more than 80 different languages: Spanish, French, German, Portuguese, Italian, Russian, Chinese, Japanese, Arabic, etc. You can have your WordPress website in any language or create a website in multiple languages. In this series of three articles I show you how to make a WordPress site 100% in your language and how to translate it into other languages. There is so much to cover when it comes to make a multilingual WordPress site, that I have tried to summarize the basics in a series of three articles. I’m hoping this series will help you to get a basic understanding of what it takes to start a multilanguage WordPress site and have the confidence to get started. 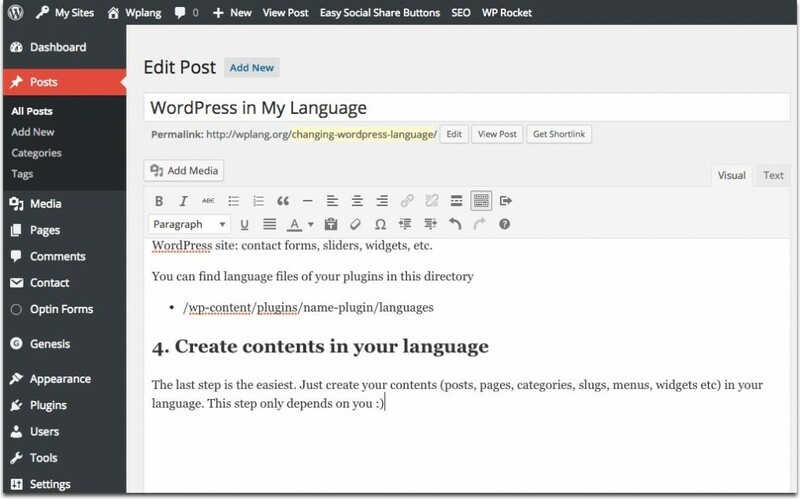 Although WordPress displays in U.S. English by default, the software is easy to localize and translate and can be used to make websites in any language. 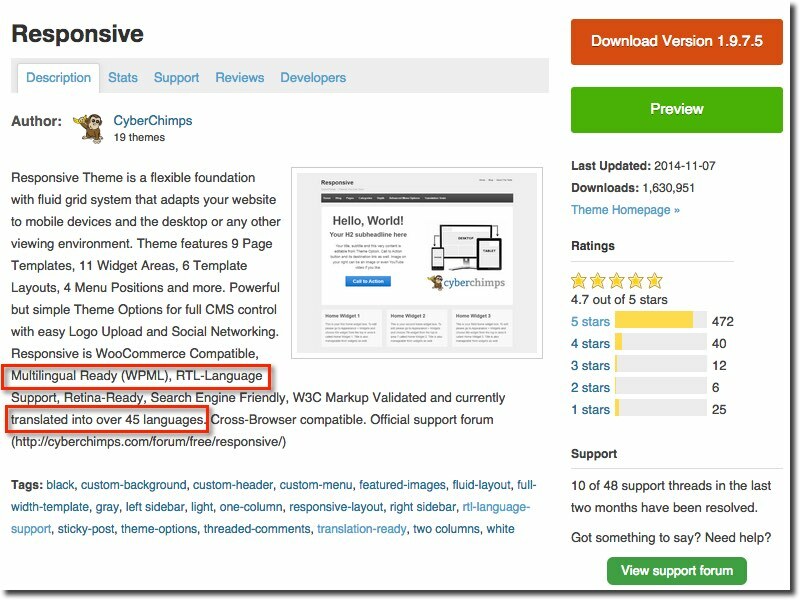 The WordPress community has translated WordPress into many languages, and there are themes, plugins and support available in other languages. You can check out the translations in this link: https://translate.wordpress.org/languages. The English version is in American English (with code en_US), Australian English (en_AU), Canadian English (en_CA) and British English (en_GB). The first two letters tell you the language (“en” for English) and the last two letters tell you which version of English (US, United States, AU, Australia, CA, Canada and GB, Great Britain). Spanish version comes with different variants: Argentina (es_AR), Chile (es_CL), Colombia (es_CO), Mexico (es_MX), Peru (es_PE), Spain (es) and Venezuela (es_VE). Even you can find other official languages spoken in Spain: Catalan (ca), Basque (eu) or Galician (gl). 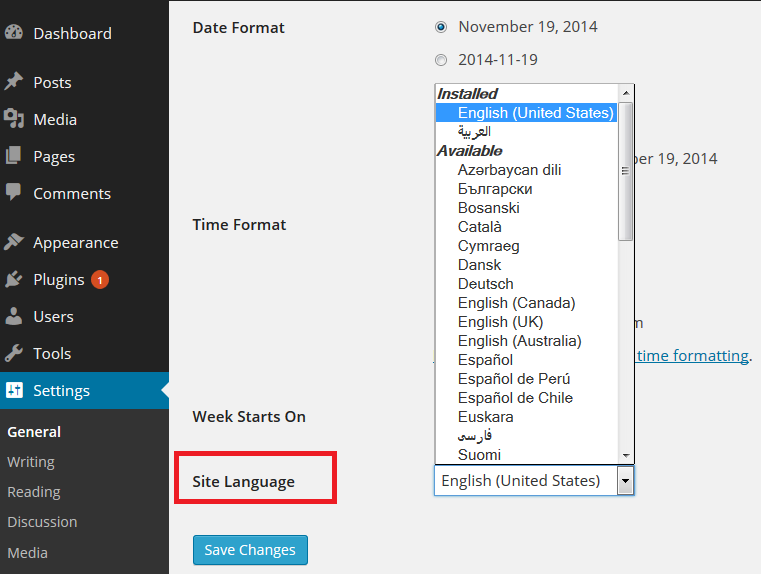 Since WordPress 4.1 you can install new languages (and change your website language) from the WordPress dashboard. It’s very easy. You don’t need to modify WPLANG in wp-config.php file (which has disappeared). All you have to do is go to Settings > General > Site Language, and install a new language. This way you can install WordPress core language on the fly. Note that the language drop down includes installed languages and available translations. es_ES.po / es_ES.mo: text strings in front and backend. WordPress core translations have been made by the WordPress community. You can contribute to improve translations in your language using GlotPress platform. You need to sign in to your WordPress.org account. If you haven’t an account, you can register a username. But if you want to customize the texts or maybe use a less formal language for your website, you’ll need to use Poedit software to modify translations (see chapter 2 of this series). Translation ready. 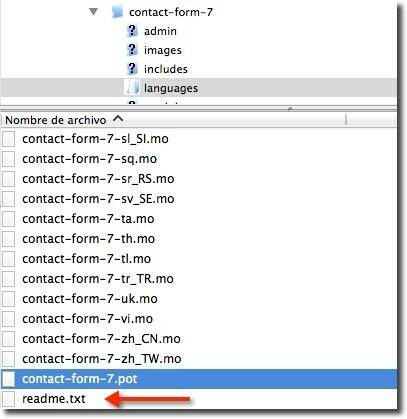 If a theme is “translation ready” will come with a .POT or a .PO file that can be used to translate the theme into other languages, but these themes don’t always provide translations to other languages. There are free and premium themes already translated into another languages. If you choose a theme translated into other languages you’ll save time and money with translations. ElegantThemes. Divi theme is translated into 32 languages. Themeforest. It’s a marketplace where you can buy and sell WordPress themes. The most popular themes in this marketplace usually come with translations into other languages. Two examples: Avada (27 languages) and Enfold (19 languages). This companies usually do not provide support for translations, which have been created by their community using collaborative translation platforms such as GlotPress, Transifex or Webtranslateit. Another step is using multilingual plugins. 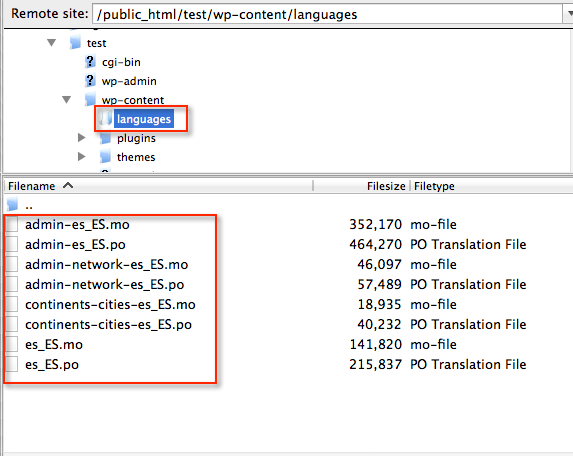 As happens with WordPress themes, not all plugins are translated into other languages or are “translation ready”. The WordPress plugin directory does not allow you to search for plugins that have been translated, so if you want to use a free plugin it’s best to check before the plugin’s features list to see if it is translated into your language or at least is “translation ready”. You can also contact the developer for more information. Most free popular plugins are multilingual ready: Contact Form 7, WordPress SEO by Yoast, Jetpack, MailPoet Newsletters, etc. Also, many premium plugins are translated or are multilingual ready. Check the plugin’s features list. 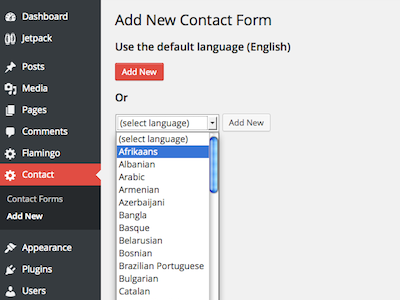 Using multilingual plugins is particularly important in the case of plugins that display text on the front-end of your WordPress site: contact forms, sliders, widgets, etc. The last step is the easiest. Just create your contents (posts, pages, categories, slugs, menus, widgets etc) in your language. This step only depends on you. Do you also want to translate your website into other languages? Then go to chapter 3 to find the different options.